Paul Doeffinger will be Hot Summer Nights next featured performer with over 45 years of musical experience. 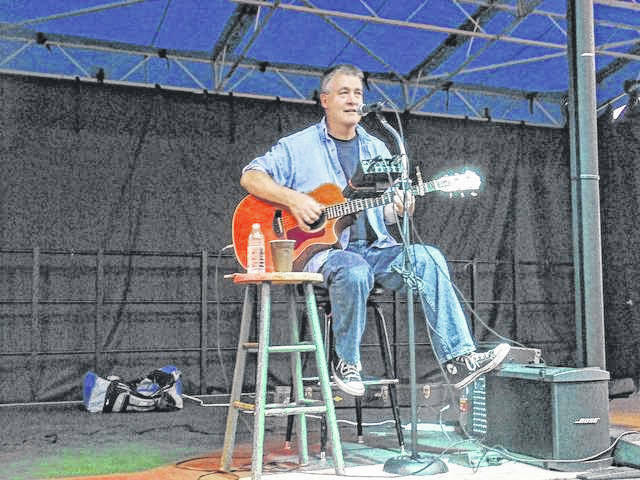 GALLIPOLIS — This week’s Hot Summer Nights, in the French Art Colony’s Pavilion, will feature Paul James Doeffinger, a well-known singer songwriter from Mason County. A local performer, he has a large fan base within the Ohio Valley. His performances are a mix of classic country and rock, as well as his well-known originals. He mainly does solo work now, but intimated it is challenging, because “it’s just you and your guitar, and no one else while on stage, which is something you have when playing in bands.” However, he loves the challenge. Thursday night, the gates at the Pavilion, on the grounds at the French Art Colony, will open at 6 p.m., with food available for a donation and legal beverages for purchase. The music will begin at 6:30 p.m.
Also, available for sale, will be tickets to win a stay at a beachfront Garden City condo. Tickets are $5 each, or three for $10. A winner will be drawn on the final night of Hot Summer Nights, August 30. In addition, original “Hot Summer Nights” t-shirts can be purchased. All proceeds from both sales will be used to buy fans for the Pavilion, to make it more comfortable, during the hot summer months. Admission is $5 per person and is free for FAC members, as a benefit. For a full schedule of the live music performances in the Pavilion, each Thursday evening through August, or for any additional information, call the French Art Colony, at 740- 446-3834.
https://www.mydailytribune.com/wp-content/uploads/sites/42/2018/07/web1_web1_7.25-PPR-Mayors-1-1-.jpgPaul Doeffinger will be Hot Summer Nights next featured performer with over 45 years of musical experience.